The tea-masters.com boutique won't make any shipments for a month starting now. I thank all of those who placed their orders just before my European trip and I kindly ask the others for patience until I come back. 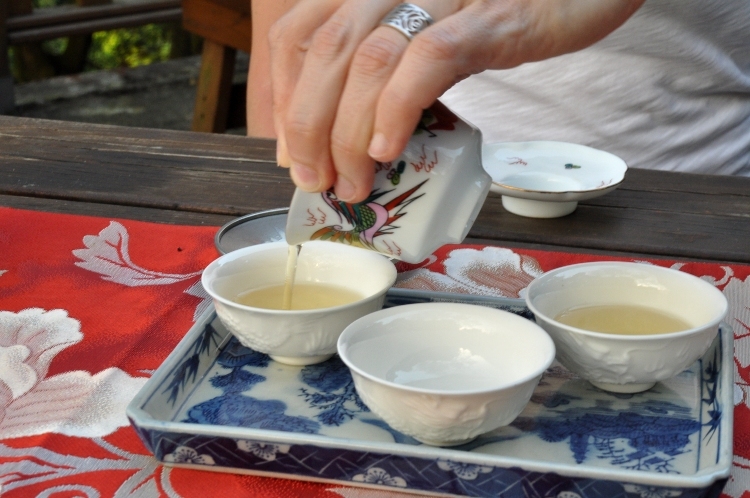 Summer is a great time to drink tea! 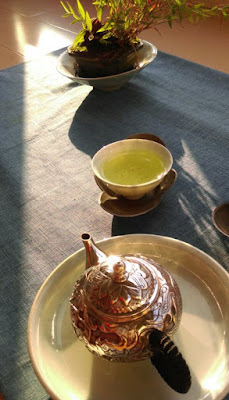 The sunshine gives such nice colors to the brew and to the ware... 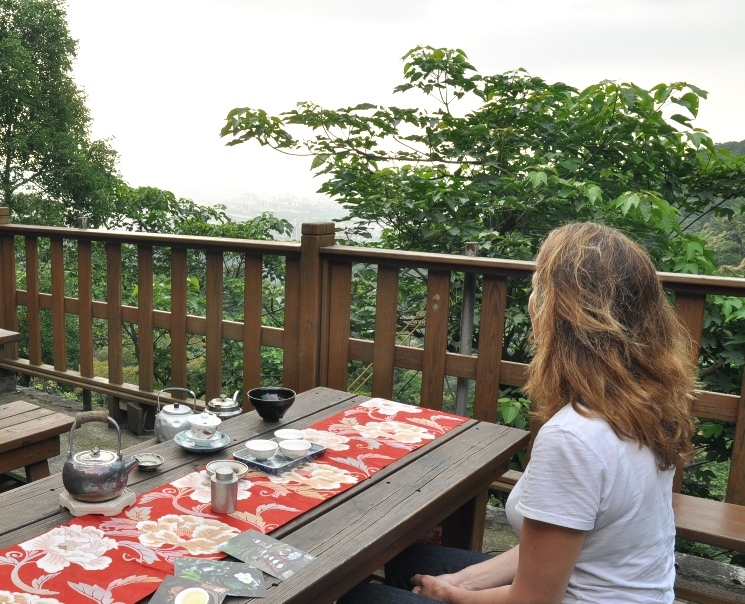 I'm looking forward tasting my teas on this trip with friends and family! Le plus beau cadeau, c'est la vie! En tant que parent, la plus grande joie, c'est de voir son enfant grandir et devenir plus autonome, cultivé et responsable. Il ne s'agit pas seulement qu'il sache ses leçons par coeur et qu'il obtienne des 20/20, mais qu'il fasse sien ce qu'il apprend. Et si en plus il ressemble un peu à son papa, alors le bonheur devient quasi métaphysique! 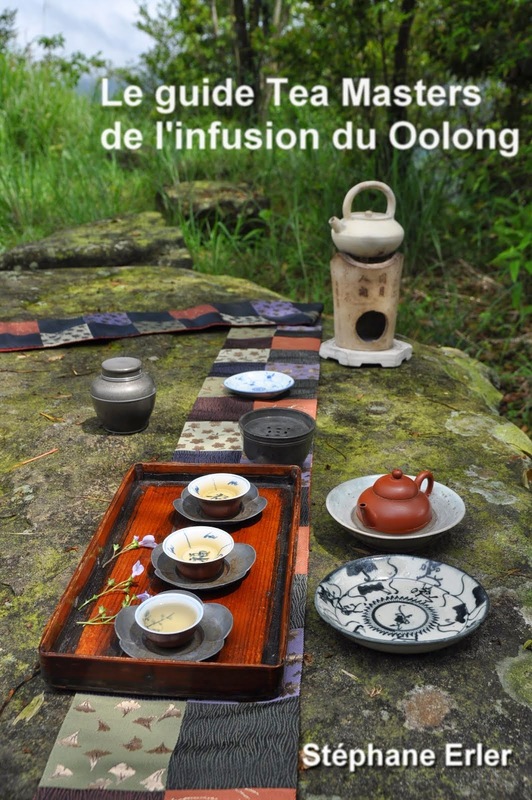 Pour donner encore plus de sens à ce Chaxi, je demande à mon fils d'infuser un Hungshui oolong de 2003, son année de naissance. C'est un moment de transmission. Je suis à ses côtés et lui rappelle le point clé auquel il doit faire attention durant chaque étape de sa préparation du thé. 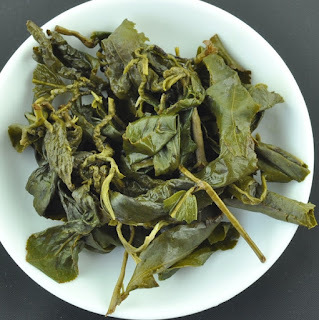 Le plus important dans l'infusion d'un Oolong, c'est d'arriver à ouvrir les feuilles! La couleur et la concentration du thé dans les coupes nous indique que cet objectif fondamental est atteint! Le goût de ce thé subtil et sensible est un peu comme un enfant. Il est ce qu'on a fait de lui. Donnez-lui de la douceur et de l'attention, et il vous rendra des saveurs moelleuses. Mais si on le maltraite ou on l'oublie, il peut devenir amer et astringeant. Alors aimez votre thé comme vos enfants et ils vous le rendront bien tous les deux! Note: Puisqu'on parle transmission, je signale qu'il ne reste plus qu'une seule place à mon stage de thé du 15 juillet en Alsace. Traveling to another continent is great. But the 12 hours (or more) journey in a plane to get there is modern torture. There's lost time, crowds, police, a lack of legroom and bathroom access, bad food, noisy engines... Taking the plane is stressful and I completely understand that affluent fliers would agree pay more to get pampered with better service on board. 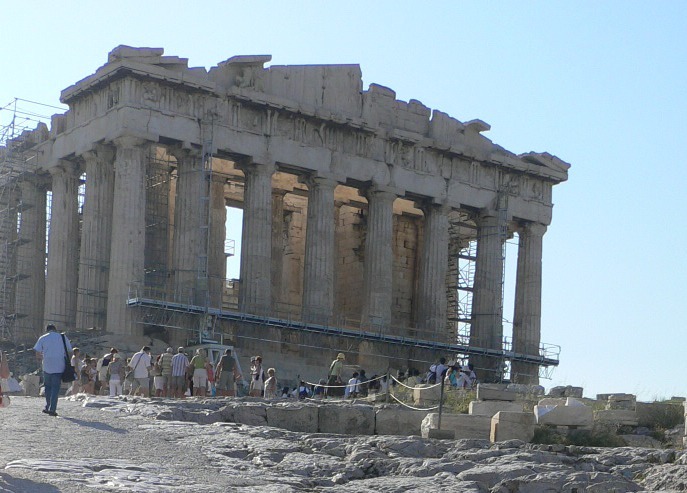 My financial resources are too limited for a business or a first class seat, but I've managed to find a couple of tricks to make the trips much more sufferable. The first is to use a noise-cancelling headphone! It's such a comfort not to hear the loud roar of the plane. And when you use it to watch a movie, the sounds are as clear as if you were watching it at home! Also, the silence creates a distance between you and the other passengers. The flight feels less crammed already. The second way to make a flight more pleasant for a tea drinker is to enjoy very good tea during the journey! It's forbidden to bring drinks through security in the airport. So, I bring my thermos and dry tea leaves in my carry-on luggage. This allows me to start brewing tea in the departure hall. In Taiwan, you'll find hot water fountains easily. Otherwise, you may have to ask for hot water from a restaurant or coffee house. (In the US, they sometimes charge 1 USD for hot water). It's also possible to refill once you're in the plane. What would be the best tea to brew in a thermos? I recommend you make some tests at home first. Find a tea that won't taste bad when it's overbrewed. One trick is not to use too many leaves. The second trick is to use a tea of excellent quality. 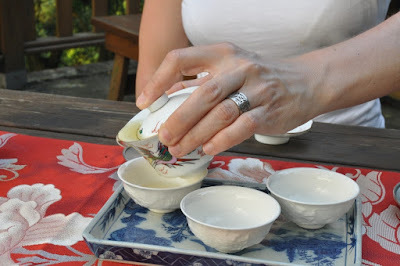 This is a perfect fit for old sheng puerh. 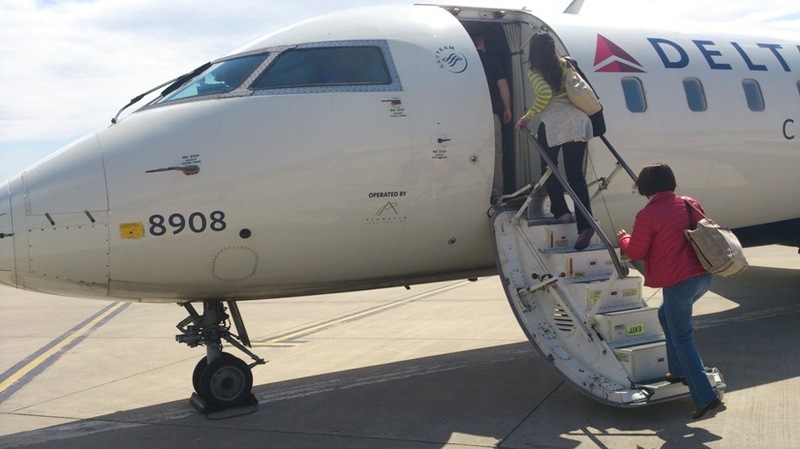 This April, on my way to NYC (and back! ), I brewed some of my 1989 Menghai Factory 8582. 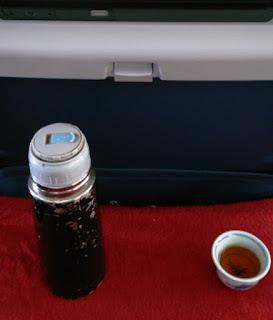 The moment I had my first sip, I felt I had been upgraded beyond first class! 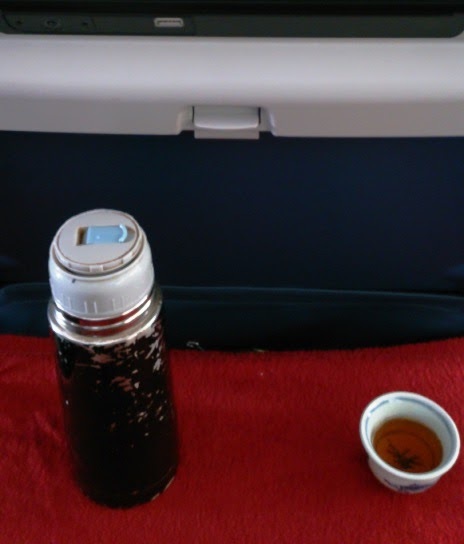 In first class, you may get Champagne and fine wine, but there's no way you could get such tea! 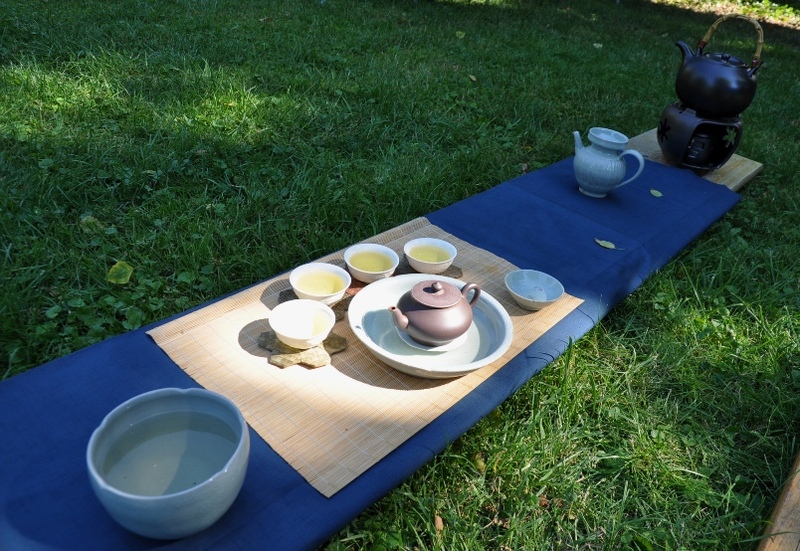 This pure and powerful puerh felt even better in these unpleasant circumstances. It brought back a sense of luxury and good taste in a situation so utterly lacking these characteristics. 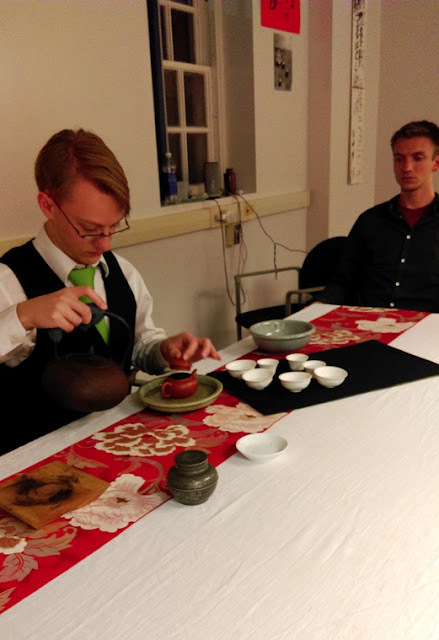 And since I had flaked a generous amount of this tea, I had the pleasure of sharing this tea with the most passionate tea students of the Tea Institute at Penn State. Here we were brewing this 26 years old puerh in a zhuni teapot after midnight, in silence, while listening to 'Planctus by Capella de Ministrers'. 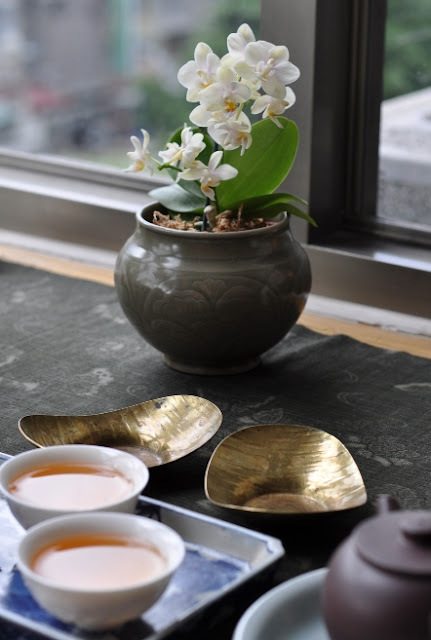 The sound of sacred music and the taste of this puerh created a moment of perfect harmony of shared joy between us. We brewed the tea one after another and we were amazed by its power, refinement and endurance. 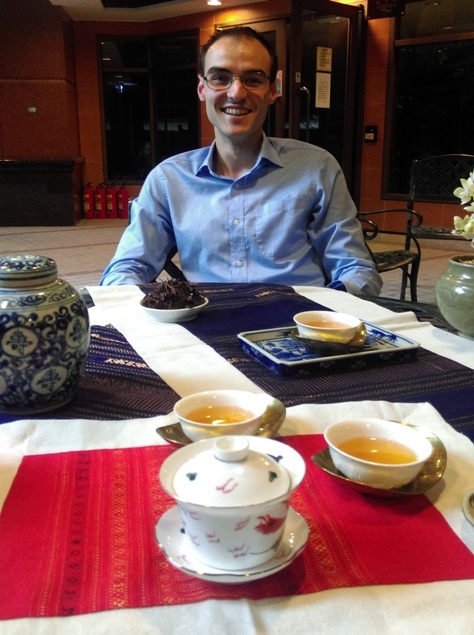 We witnessed the interaction between brewer and tea: each brew felt different depending on how it was brewed. Addie's was particularly good! The perfect ending to this 4 days event. 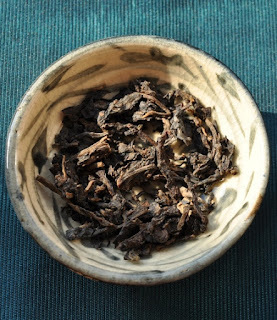 For my next trip to Europe in a week, I plan on using my latest puerh selection, the 1995 sheng Yiwu brick. Its natural sweetness is a good fit for plane brewing and it's much more affordable than the 8582! Reminder: Order now, before June 24, or you'll have to wait until end of July to have your package shipped! Quelle idée de boire un vieux puerh cru par une après-midi ensoleillée où le mercure dépasse allègrement les 30 degrés Celcius! D'habitude, ce genre de thé chaleureux est surtout réservé aux froides soirées d'hiver! Mais c'est compatible avec un précepte de la médecine chinoise: quand il fait chaud, boit chaud pour te rafraichir! 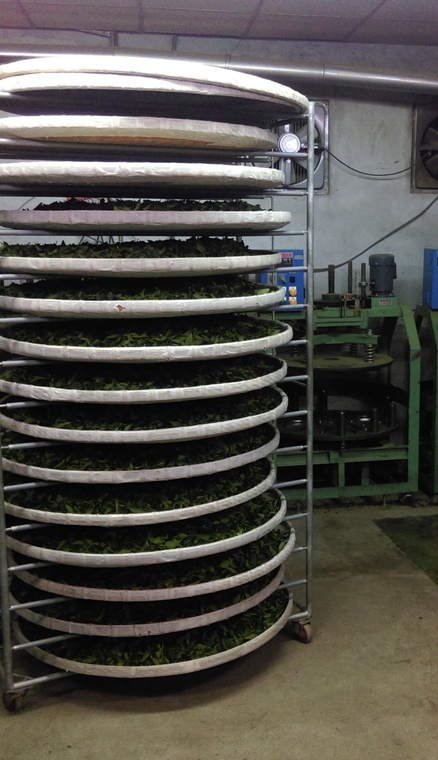 Ces feuilles proviennent d'une brique de 500 gr de vieux arbres d'Yiwu. C'est une commande spéciale d'un marchand de Hong Kong en 1995. A cette époque, le marché n'était pas encore libéralisé et tout transitait par la CNNP. 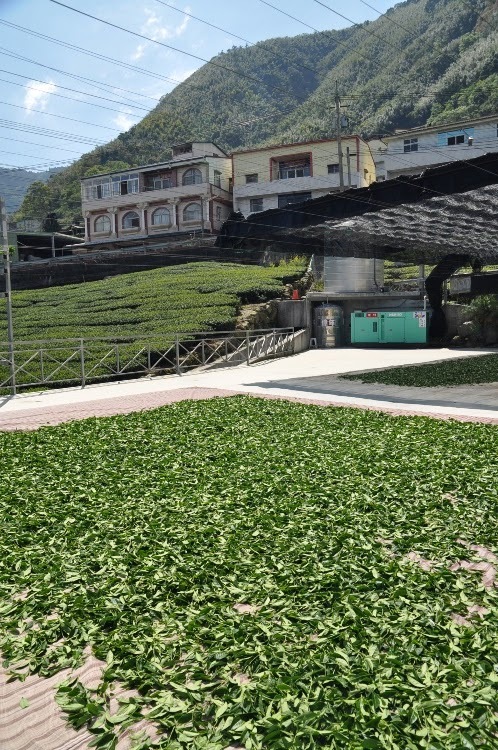 2 ans plus tard, Hong Kong allait redevenir chinoise et beaucoup de puerh Hongkongais fut vendu à Taiwan, par précaution, et à cause de l'engouement Taiwanais pour ces thés. Belle de jour comme de nuit, je chauffe mon eau avec ma tetsubin. La chaleur donne une odeur particulièrement sèche de cave poussiéreuse aux feuilles décortiquées. C'est assez différent de l'odeur, puissante, de camphre qui se dégage de la brique quand je l'hume habituellement dans son emballage. Mais je passe outre cette première impression et infuse les feuilles avec mon mini gaiwan afin de limiter ma consommation. La couleur est brun clair ou orange foncé. 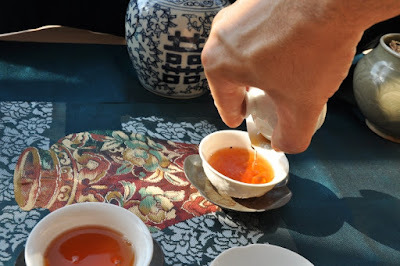 Il n'y a aucune trace de puerh cuit dans cette infusion. Sa transparence et son éclat brillant sont irréprochables. Les odeurs ont aussi changé du tout au tout. L'eau bouillante a balayé la poussière! Maintenant, ce sont des effluves fruitées de camphre qui se dégagent de la coupe. Il y a une odeur chaleureuse de soleil printanier d'il y a 20 ans. 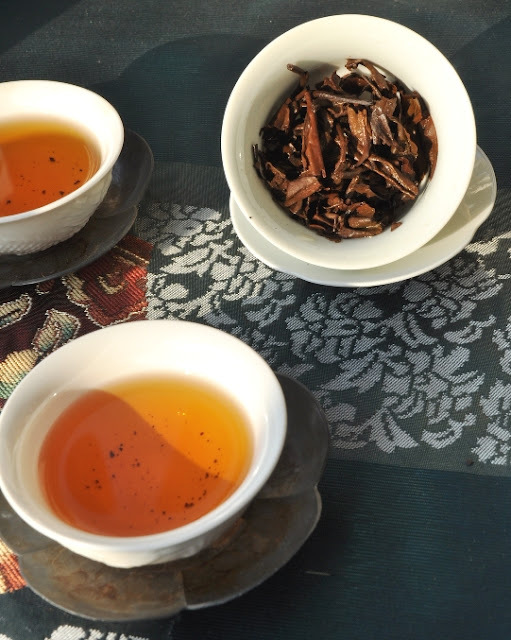 Je me régale des odeurs de camphre fleuri dans les infusions de ce puerh! Dans une semaine, je pars 1 mois en Europe. Je vous invite donc à passer vos commandes avant le 24 juin (minuit)! Sinon il vous faudra attendre fin juillet pour que je reprenne mes expéditions! Plastic surgery, photoshop, Botox, makeup... The difference between before and after can be breathtaking. We've all seen such pictures of celebrities or normal people. The transformation can sometimes be as radical as with Bruce becoming Caitlyn! A few days ago, a tea friend brought a new tea. 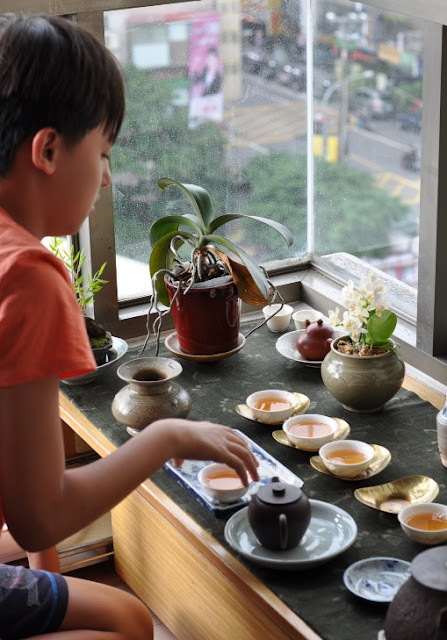 I brewed it competition style with a gaiwan, which means I used few leaves and a long first brewing time. He wondered why I wouldn't use more leaves and a shorter time to make a better cup of tea. Where's my gongfu? The first skill is to know when to use it! Those who've watched a Bruce Lee movie will remember that he's using his kongfu only when it's really needed. 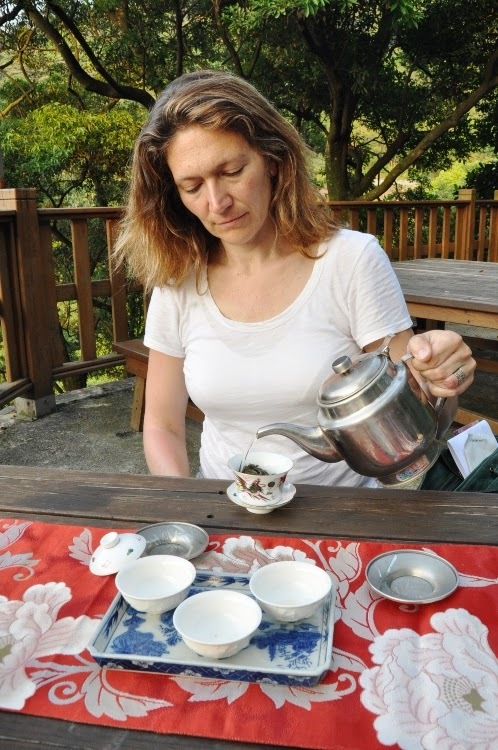 An absence of gongfu when brewing a tea for the first time is already a sign of gongfu! 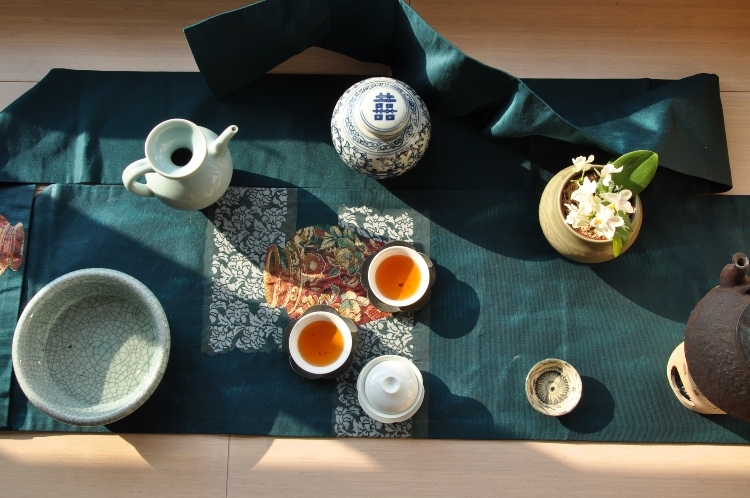 First, it's a sign of humility: you admit not knowing this tea enough from looking at and smelling the dry leaves. You need to brew it to know it better. 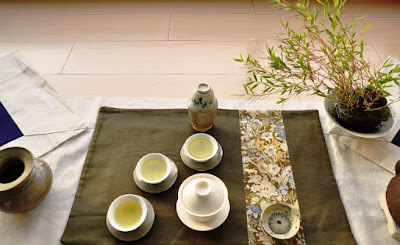 Your aim is to understand what's the true character, the real nature of the tea. And like with a person, it's when you apply some stress (boiling water) that you'll find out their defects, their weaknesses. 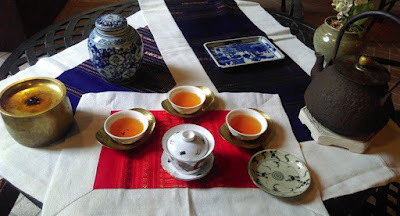 Using the same method for all teas is also a fair and easier way to compare them. 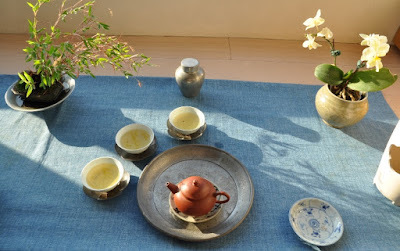 That's why, on my www.tea-masters.com boutique, I first show pictures of a competition brewing. 3 grams of dry leaves, the brew and the spent leaves after the 6 minutes brew. My goal here is not to make beautiful shots, but to show you the tea in all its simplicity and true nature. My description is also mostly limited to what the tea tastes brewed this way. What you get to see first is Bruce! 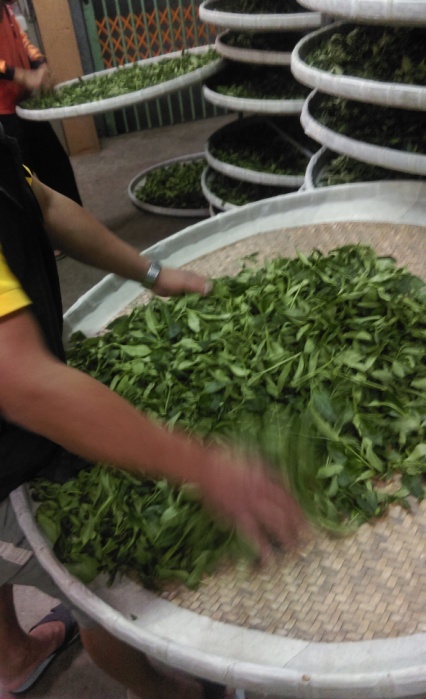 Once you know the leaves well, you have the freedom and responsibility to brew them as you like. Your goal is to make a better cup than when using the competition method. If your result were to be worse, then you'd better simply use the competition method! 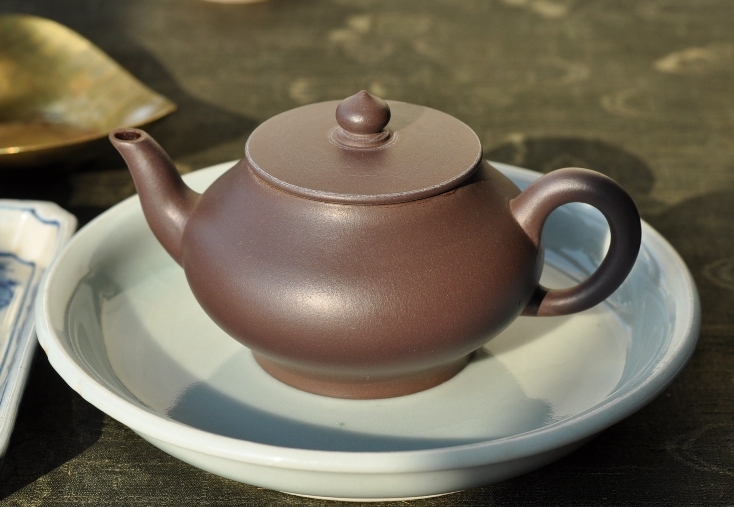 This doesn't necessarily mean that you have to switch from a gaiwan to a teapot. 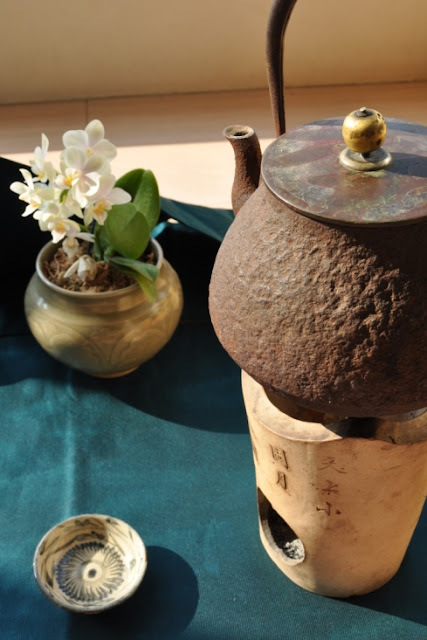 Like a simple smile can change a face, sometimes it's already a big enhancement to know how to pour the water well and get the leaves to dance happily in the gaiwan! Understanding the nature of the leaves also helps to know what is the character that gains from being emphasized. 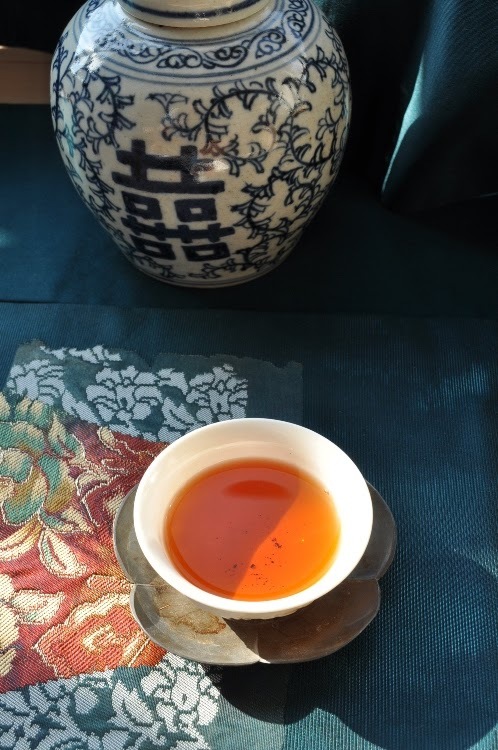 For this Fenqi Hu Oolong, for instance, I took advantage of its light roast to seize on its light golden color. The chabu seems to reflect various shades of gold and the green plant and bowl convey a feeling of lightness and freshness combined with the warmer nature of the tea. This is my own, unique interpretation of this tea. 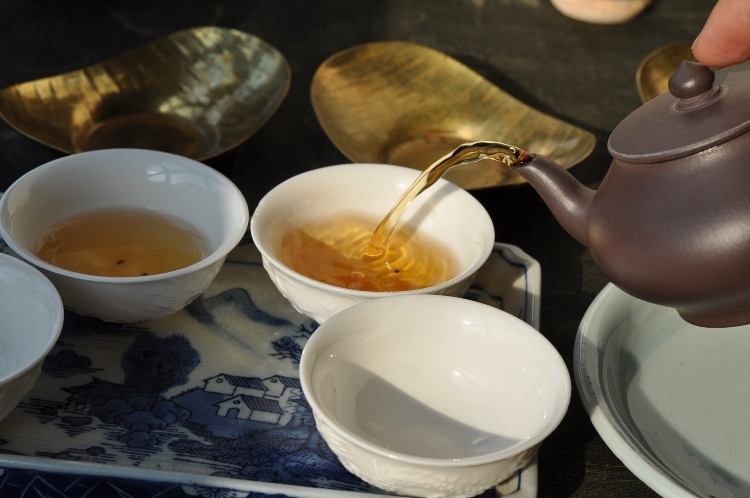 I feel we obtain the best results when I emphasize the true nature of the tea. But I would probably not know what this nature is if I hadn't made a first brew with the competition method! - but quality has a cost and if a price is too good to be true, it's often the case. 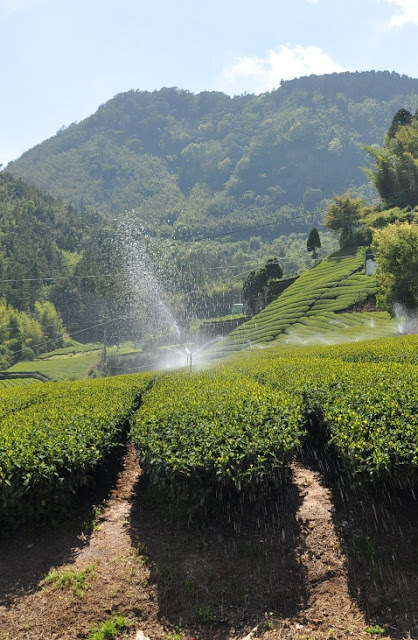 - Single batch Oolongs vary greatly in terms of taste and quality (due to soil, climate and human process). - Beware of nice stories and beautiful packaging. Focus on the scents and taste of the tea. The fun part of brewing tea with skill is to turn Cinderella into the princess she's meant to be! 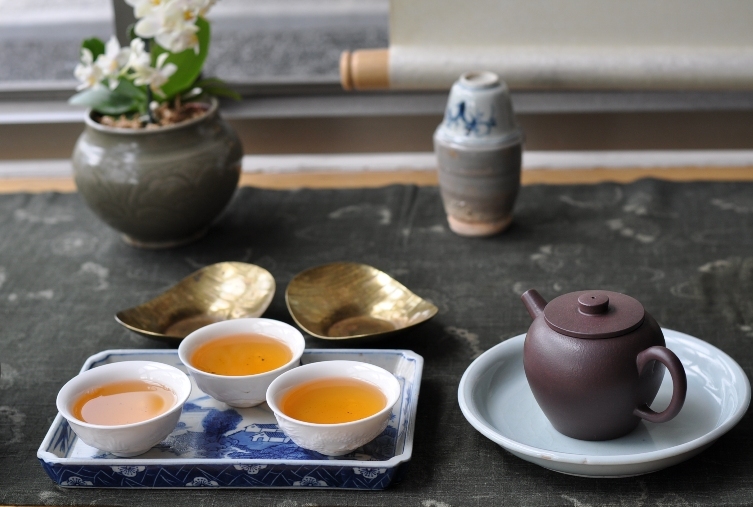 Every tea has a unique personality and taste. 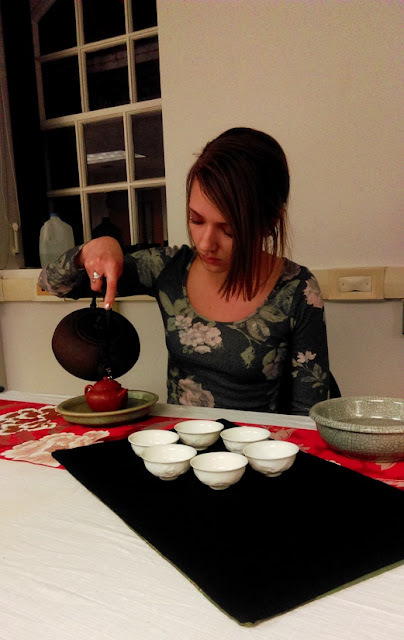 That's why there are infinite possibilities to dress and makeup the tea with a Chaxi and with brewing skills. If you're really gifted, you could even turn a Bruce into a Caitlyn! Last week, I had the visit of R. who lives in Fujian and spent a couple of weeks working with a tea farmer in Wuyi. 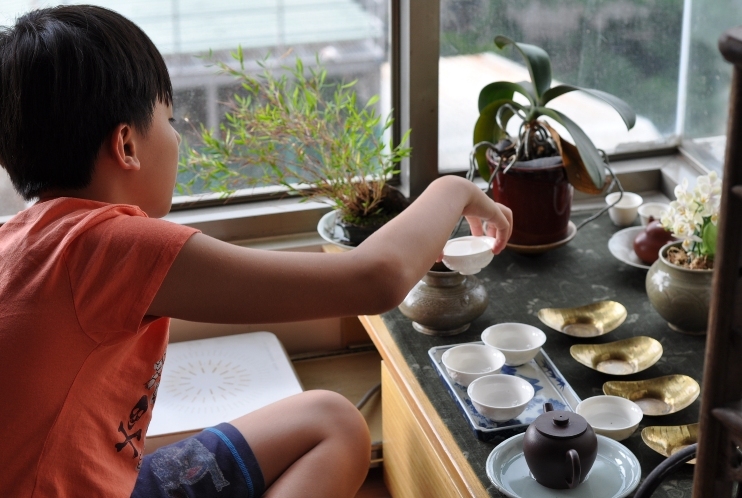 He loves tea and wanted to experience how it's made. I guess this is the dream of most tea fans... What could be more beautiful and interesting than making your own tea surrounded by tea plantations, sunny weather in the mountains, in contact with nature? There are lots of tourist tours that let you touch the leaves at various stages of the process. But working 2-3 weeks shows a lot of commitment and perseverance. And you'll need a lot of that! Because the work of a tea maker is hard, very hard. And it takes a lot of skills that you can not pick up within weeks. When you make tea, the leaves are like your baby. They are your priority. If they are only ready to be heated at 2 AM, that's when you have to process them! And as soon as one batch is done, the next leaves are coming already and the work starts again without much time to catch a break. This job is so hard that you mostly see young guys performing it in the mountains. Most of them chew betel nuts, smoke cigarettes and drink very strong tea to stay awake. During the production season, they have to adapt to the leaves and can't have a regular day of work anymore. 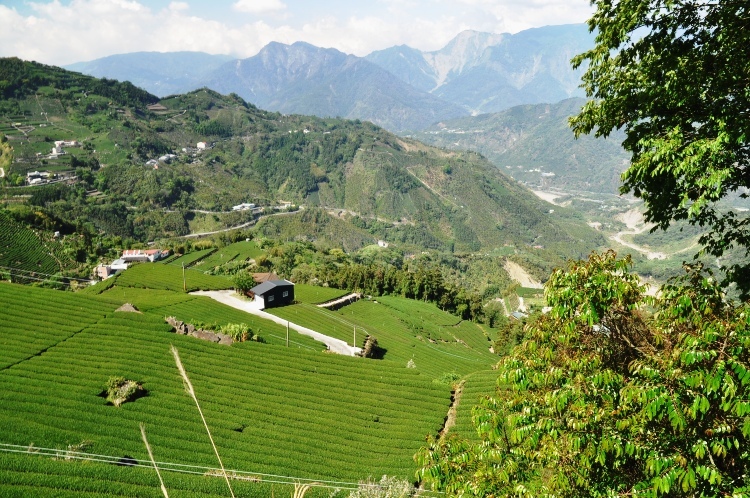 The pictures of tea mountains are beautiful, but this beauty requires a lot of work and fewer and fewer young people are ready to work physically in the mountains. It starts with the pickers who harvest the leaves by hand. After the picking, the leaves are brought to the nearby production site. 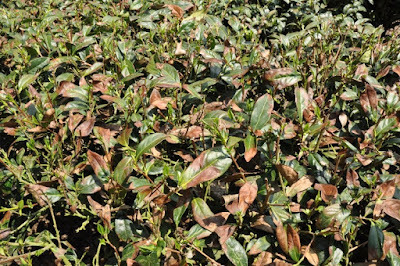 There, they undergo some outdoors withering first, directly under the sun and in the shade. This is a step that hasn't changed much. What has changed is indoors withering. R. had told me he wished more of the tasks were performed mechanically, because this would be more consistent than when it's made by someone inexperienced. 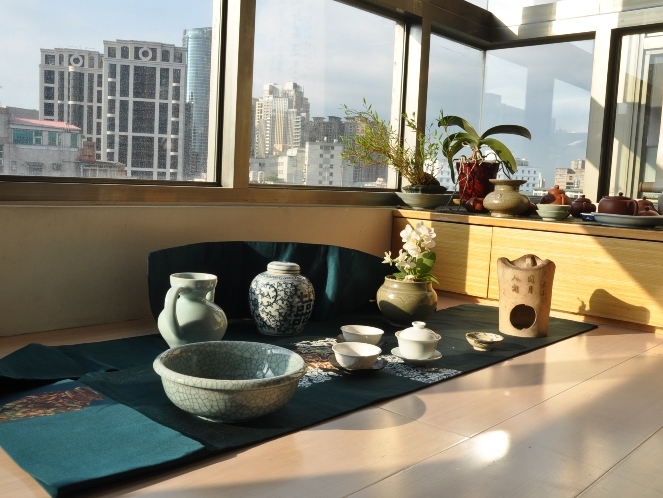 Traditionally, indoors withering is made on these round bamboo trays. While the leaves loose their moisture, the farmer and his team of workers will shuffle the leaves around several times, at regular intervals. 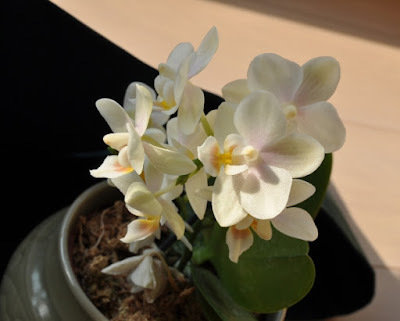 The leaves are slightly bruised by this action and oxidize a little bit as a result. But when you harvest several hundred pounds of leaves a day, that's a lot of work to shuffle all the leaves on these racks so often. Since there's a manpower shortage and since most high mountain Oolongs are made 'nuclear green' (with very low oxidation), this innovation is more like a natural development: the big indoor rack in an air conditioned (AC) room. (See picture below). Most plantations have these big racks now. It's much easier to control the indoor withering of the leaves this way. The leaves are not shuffled anymore. 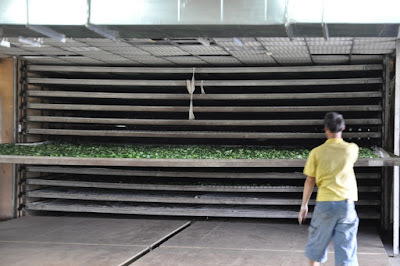 And since the temperature can be kept constant with AC, this means that the quality of the leaves is more stable. 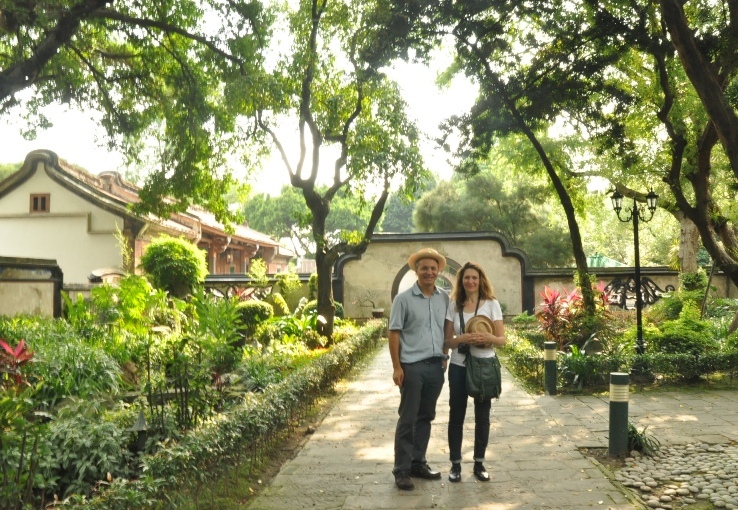 Even the plantation on Fushou Shan has these! It makes sense if the leaves that have been harvested are of high quality and come already relatively dry (like this year). Such leaves are like a great piece of meat or fish: it's so good that it doesn't require much transformation. 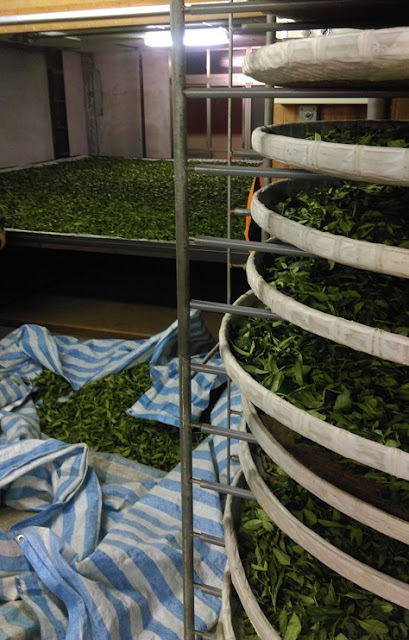 We start to have problems with this method if the weather is more rainy or if we expect high mountain Oolongs that are a little bit more oxidized. Some oxidation is what adds sweetness and a nice aftertaste. It's also more gentle on the stomach. 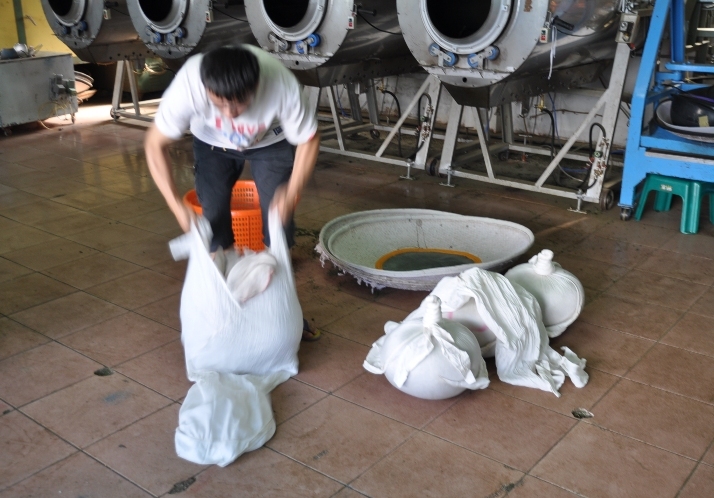 One of my tea farmers in Changshu Hu uses both methods. He acknowledges the advantage of the big mats for the first batch of leaves that arrive quite dry. 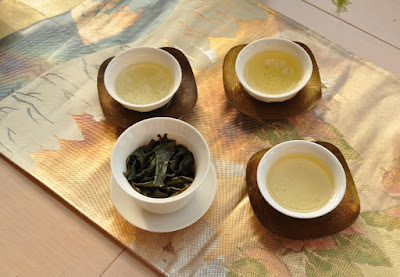 But he'll use the round bamboo racks for leaves that have more moisture, so that he can better control the withering process and add more taste (oxidation) through the gentle shuffling of the leaves! The big indoor withering rack system is a popular innovation that is now even spreading to the Wenshan (Bazhong) area! It allows for very lightly oxidized Oolong to be made in a more consistent manner and at a lower cost, by young guys with less experience and skills than older farmers. However, there are also certain flavors that won't appear with this method. 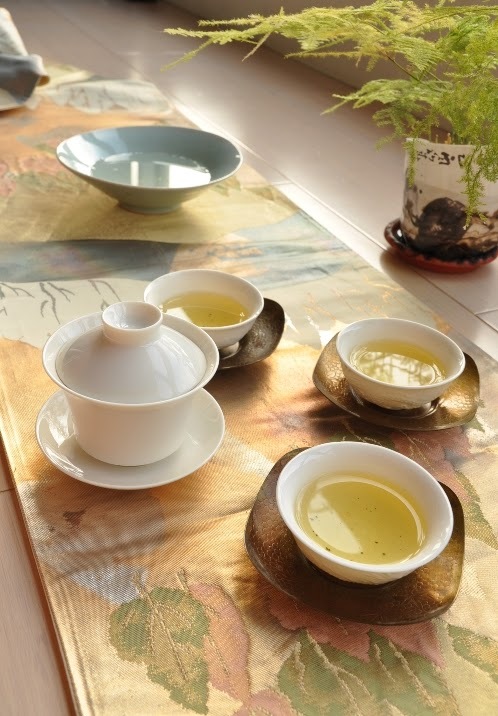 The characteristic of Oolong is to be be partially oxidized, not just very lightly oxidized. The first skill of an Oolong maker is to find the right oxidation level that brings out the flavors and preserves the spring freshness of the leaves. 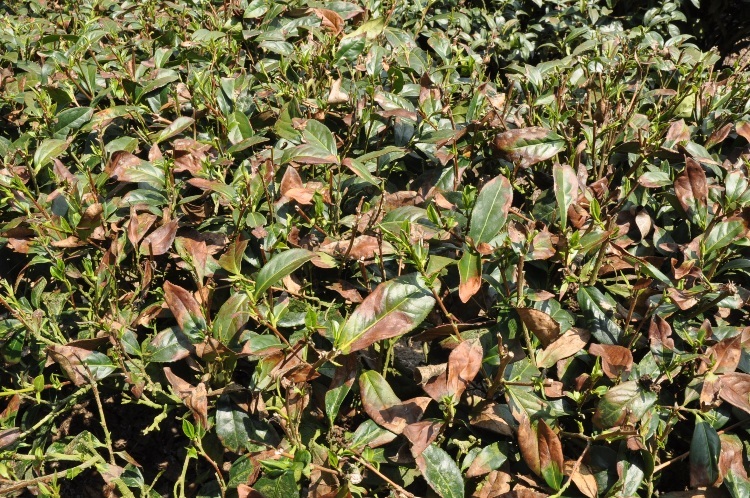 Such leaves are then also more suitable for roasting and long storage. 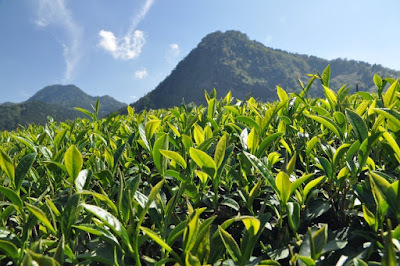 The paradox is that you this cost effective method makes most sense with expensive leaves from the highest elevations! 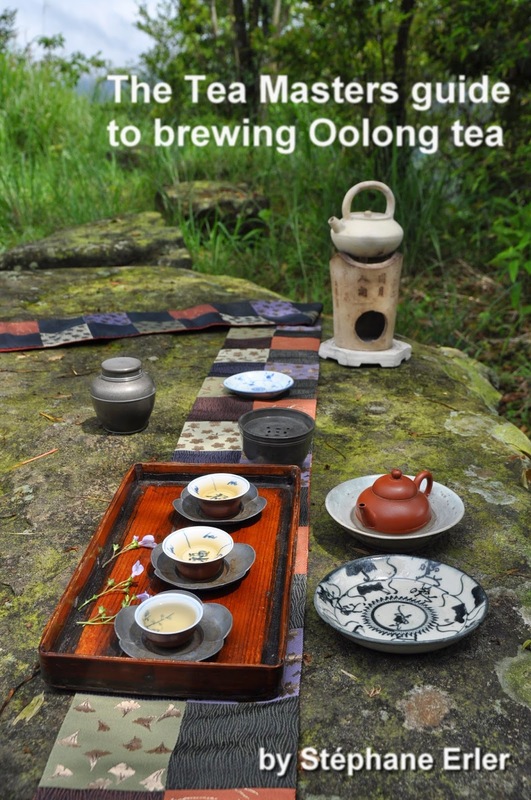 And while I tend to prefer more traditionally made high mountain Oolongs, I don't think this is necessarily a bad innovation. It's a tool that is very suitable for certain conditions. Anyway, it's up to us to find the teas that suit us the most. 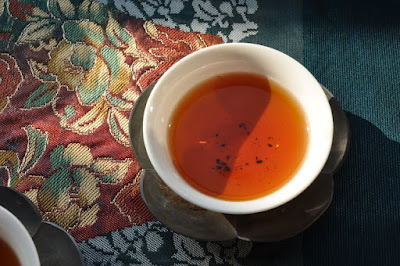 Voilà plus de 12 ans que je suis des cours de thé hebdomadaires avec Teaparker! Ce blog essaie de transmettre mes découvertes, mais il ne saurait remplacer l'interaction entre un maitre et ses élèves. 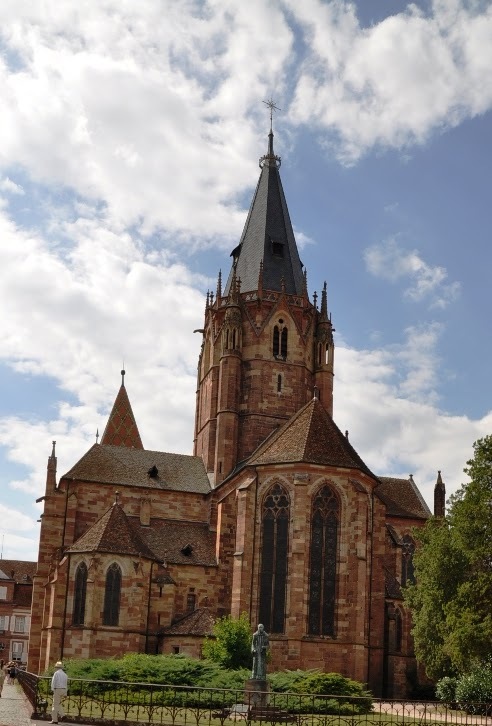 C'est pourquoi, j'ai envie de vous proposer un stage d'une journée lors de mon séjour en Alsace cet été. Le but de ce stage est de vous permettre de faire des progrès dans votre technique de la préparation des Oolongs. Ce cours ne se limitera pas à des exposés théoriques ou à des dégustations de bonnes feuilles, mais sera interactif et centré sur votre apprentissage de l'infusion. Date: 15 juillet 2015, de 9h à 18h. Prix: 60 Euros (repas de midi compris). 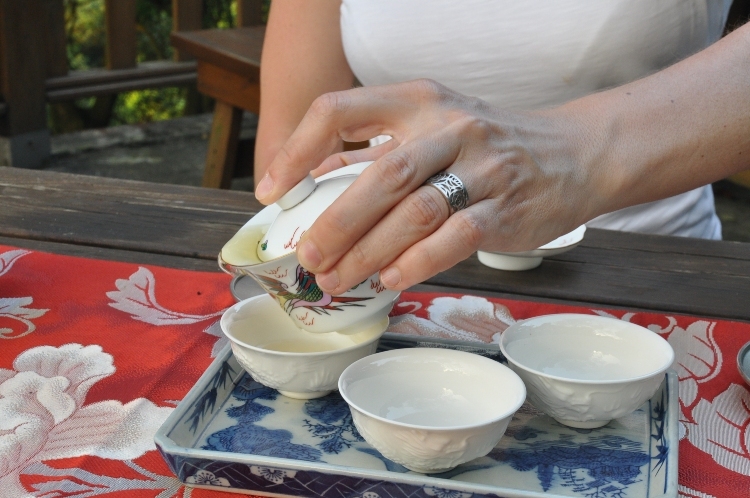 Matériel : apportez votre gaiwan en porcelaine, 3 petites coupes (et 1 chaxi complet, si possible). Si vous n'avez pas de gaiwan, vous pouvez me passer commande avant le 24 juin. Je reçois régulièrement la visite d'amateurs avertis et de professionnels du thé à Taiwan. 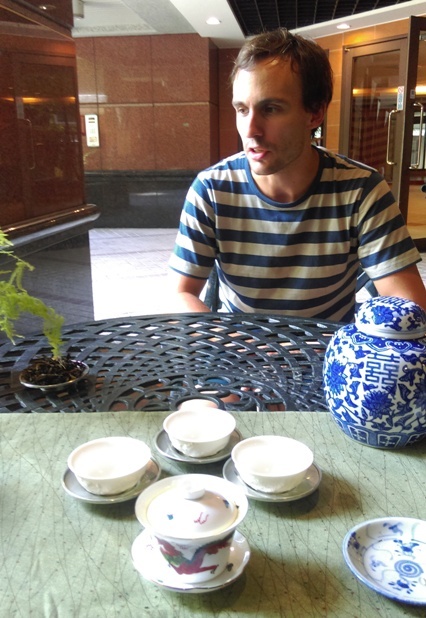 Le gaiwan est alors l'instrument neutre qui nous permet d'évaluer le thé de la manière la plus objective possible. 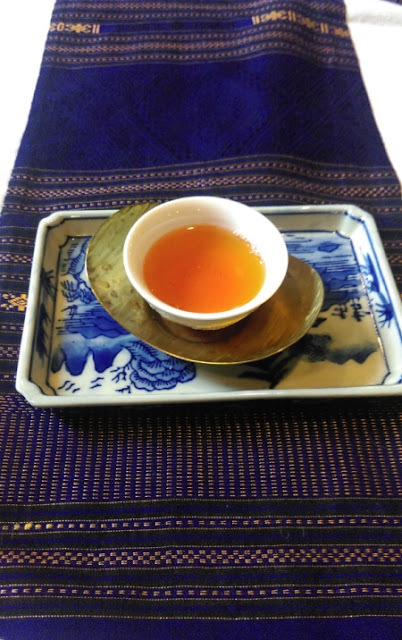 Avec William de Bannacha, par exemple, hier, nous nous sommes penchés sur une beauté orientale de 2014 et ma Concubine Oolong de 2013. La porcelaine est le matériau des pro. Mais qu'en est-il de la technique d'infusion? Quelles stratégies adoptées pour bien connaitre ses feuilles? Comment verser l'eau de manière harmonieuse? Quand arrêter l'infusion?... Nous verrons tout cela ensemble! 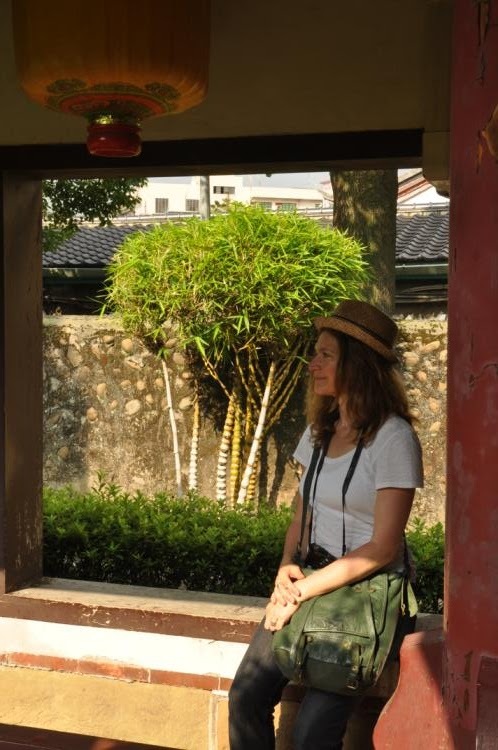 Il y a un mois, c'est Lydia Gautier qui est venue me voir à Taiwan. Lydia est experte en thé et l'auteure de nombreux livres sur le thé. Après une visite aux jardins la maison Lin, nous sommes allés en-dehors de Taipei déguster des Oolongs de Dong Ding et de haute montagne. Les Oolongs torréfiés sont les plus difficiles à infuser correctement. La lecture de mon guide fournit la théorie et un grand nombre d'astuces pratiques. (Je recommande que vous l'ayez lu avant le stage). Mais on apprend encore mieux si l'on voit faire et qu'on peut répéter immédiatement les mêmes gestes avec mes conseils. Et une fois qu'on a le tour de main, c'est une question de pratique et d'entrainement. C'est un peu comme rouler en voiture. Au bout d'un moment, le passage des vitesses se fait instinctivement, à l'oreille, quand le moteur fait un certain bruit. Le but ultime de la technique d'infusion, c'est de devenir un feeling, un instinct naturel. On en viendrait presque à l'oublier pour mieux se concentrer sur les plaisirs du thé. Arriver à un maniement gracieux des ustensiles. La présentation esthétique du thé prépare l'esprit au voyage visuel, olfactif et gustatif. Contactez-moi à mon adresse e-mail: stephane_erler@yahoo.com pour vous inscrire. Dites-moi si vous avez des questions, des thés ou des thèmes particuliers que vous voulez voir traités durant ce stage. Mise à jour: Il ne reste plus qu'une place pour ce stage alsacien! 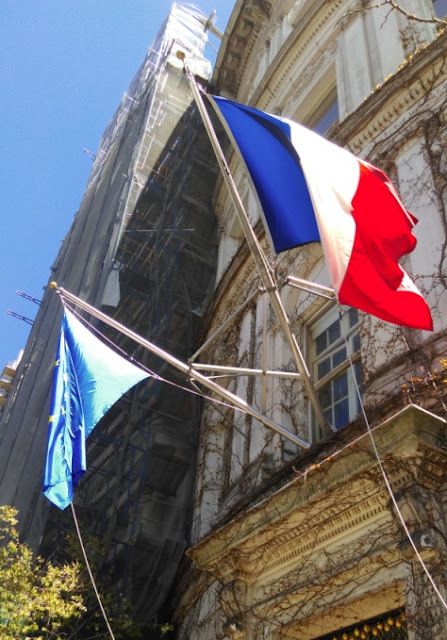 Le stage du 18/19 juillet se déroulera à Prague, en République Tchèque. Sinon, je serai en Crête (près de Chania) du 29 juin au 3 juillet. Si certains d'entre vous êtes là-bas également, nous pourrions organiser une petite dégustation.